Dress shabbily and they remember the dress, dress impeccably and they remember the person. 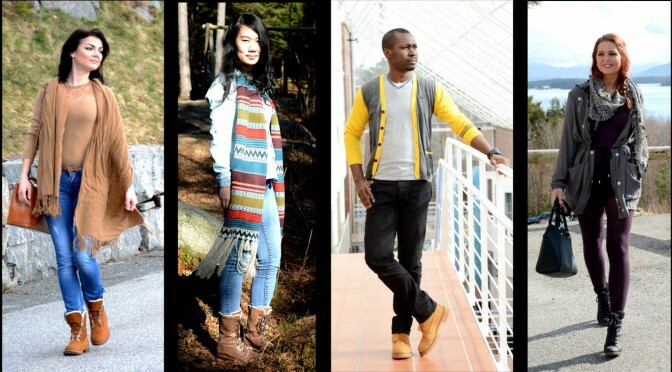 Our best dressed campus fashion participants this week mostly set their own trends. Style: I do not exactly know what my style is. Perhaps I can define it as girly, cool or mature. I really don’t know, I dress up in my own style. Colors: There is no specific color I prefer; any combination of colors can be a style. I like to use different colors, particularly light and warm colors. Maybe my preference may lean towards red, yellow, orange and denim blue. When I wear them, I feel positive among friends. Designers: I do not go by any particular designers because I think I am the designer. I design my own colorful life. Shopping spots: I love shopping online unlike in shops that have fixed colors and sizes. Online shopping will give you more choices. Style: I have no idea what my style is, but can pretty much say that it is Vibeke! It can be inspired by the 70’s, rock-chic, romantic, maritime or just casual. I still have my own twist, even though the categories are very different, it is Vibeke. I love dresses and skirts! When I was in kindergarten my mom had to buy thick dresses for me, so that I could wear them during winter. Friends say that they like my style. Besides, there are so many different beautiful styles, and I want to wear them all, my way! Inspiration: I pick ideas from everywhere: Instagram, Pinterest, people on the streets, friends and magazines. I subscribe to Costume. When I see something that I like, I adopt it. Favorite colors: It changes by the season. This winter it was burgundy, but I am now falling for light blue, which might change in a month or so. Designers: Filippa Knutsson, Malene Birger, Tommy Hilfiger and Domenico Dolce. Shopping spots: I mostly shop at H&M, Cubus, Gina Tricot, BikBok, Sisters Point and Vero Moda, but it also depends on the countries I visit and what shops are there. I always shop at Mango and Zara when abroad. As a student, I try not to shop a lot even though I love shopping. There might be a tiny shopaholic in me, but the budget limits me. We need more shops in Molde or at least Ålesund, my hometown. Ålesund has the big shopping mall Moa, but still no Mango or Zara. I am sure they would profit by establishing them. Fashion trends: I think my subconscious gets the new fashion trends before it is really out there. It is still not so important for me to be trendy. If I like it, I wear it! If I don’t like it, I don’t. It is that simple. Is your style different from fellow Norwegian girls? Difficult to answer, so many girls with different styles. I don’t think I am one of those who wears something just because everybody else is, I’d rather wear something different which I like. It is more fun to find my own style, mix and match! Colours: Dark blue, black and indigo. Particular designers: Not any in particular. Shopping spots: I shop anywhere style exists. Fashion trends: I do not always follow fashion trends, I can say very rarely. Inpsiration: Nothing really, I just like to look good and comfortable in a very moderate way. Favorite colors: I am cool with all the colors and incidentally, have clothes of all colors. Designers: I have no particular favorite designer; I just shop for what my pocket can afford. Shopping spots: I shop anywhere and when I find something that I like, I go for it. Most of my shopping is however done in Moscow where I reside. Fashion trends: A combination of old and new, but trendy given that looking good is good business.